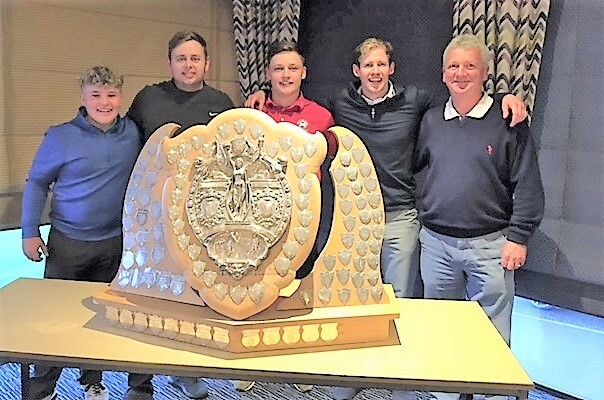 The Hazlehead team with the Maitland Shield after their victory in last year's final at Portlethen. Bon Accord's first-round opponents are Northern. Hazlehead begin their defence on Tuesday when Peterculter are their opponents at 5.15pm. The final will be played on Friday evening. Spectators welcome. FIRST ROUND - 4.47pm Bon Accord v. Northern, 5.01 Nigg Bay v Stonehaven. 5.15 Portlethen v Royal Aberdeen. FIRST ROUND - 4.47 Deeside v Banchory. 5.01 Caledonian v Craibstone. 5.15 Hazlehead v Peterculter.